HEAD TO THE TROPICS Discover all of the tropical crops and exotic animals that call your island home! Grow the freshest ingredients for fun drinks at the Tiki Bar. Send animals helpers, like Capri the dolphin, to catch fish for you to grill. 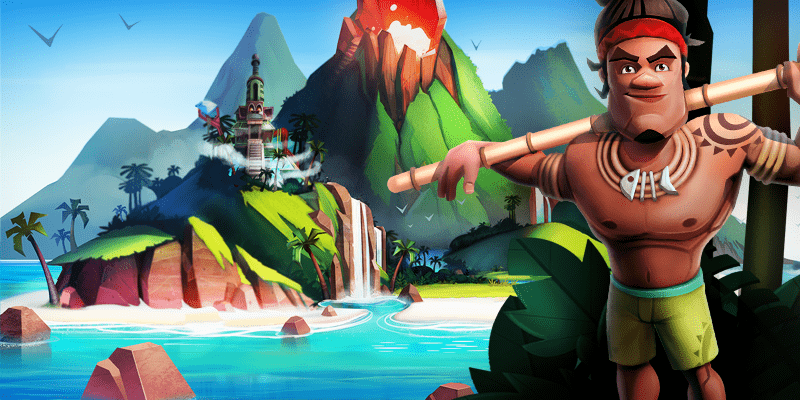 Enjoy the antics of the playful monkeys and other new friends as you explore the island. 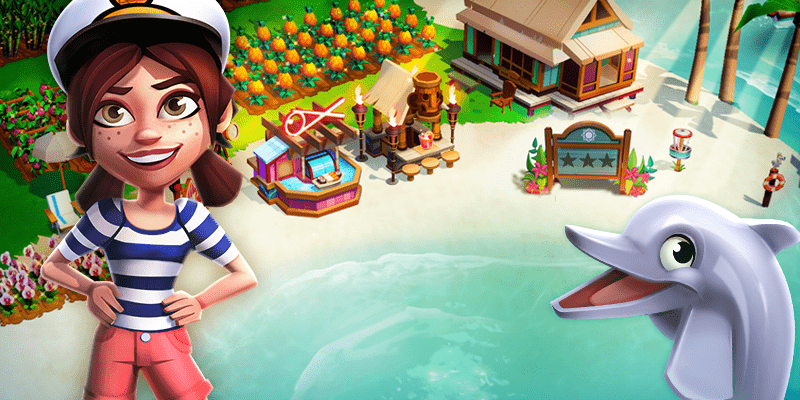 DISCOVER ISLAND SECRETS AND TREASURES Meet your island guides, like the archaeologist and the surfing expert! They can help you complete story-based quests and uncover the secrets of the island. 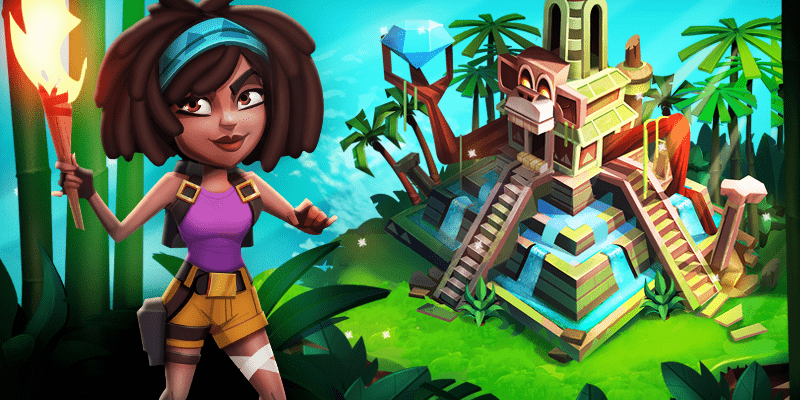 Explore the volcano and ancient monkey temple on land. 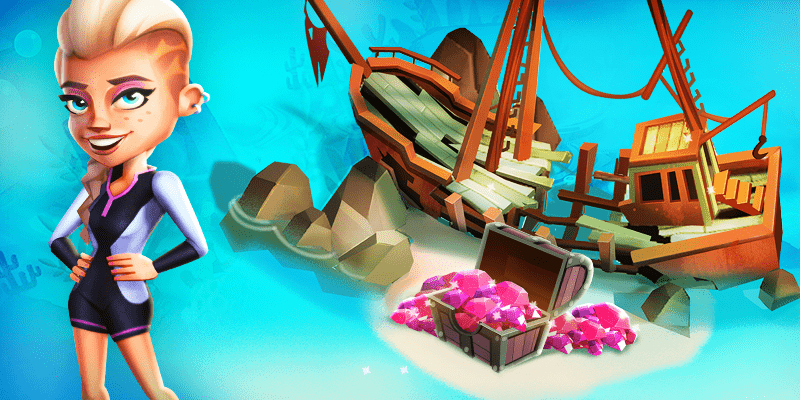 Head out the coral reef and merchant shipwreck at sea. Find hidden treasures and rare goods in the sunken city and other uncharted areas. 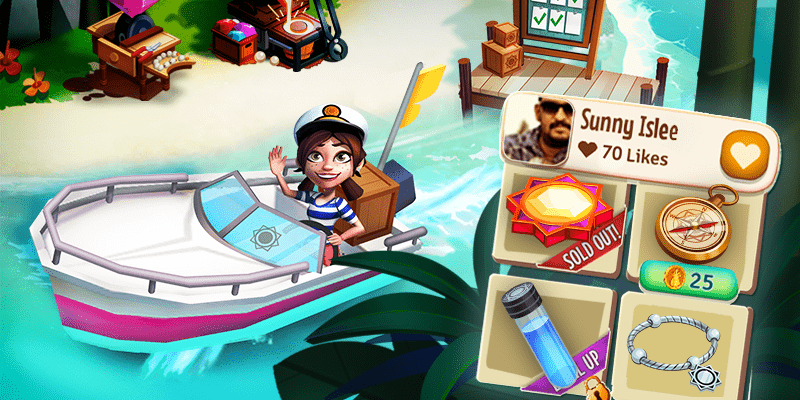 TRADE WITH OTHER ISLANDS Use the trade boat to your advantage. Short on eggs? Buy the goods you need from neighboring islands. Have too many pineapples? Name your price and sell off extra crops and crafts. The more money you have, the more you can do on your island.